The backbone of your waterproofing is your sump pump. If you are going to depend on a sump pump, you should make it a Superior or Elite Sump System to keep your basement dry! These products are the best quality in the waterproofing industry. 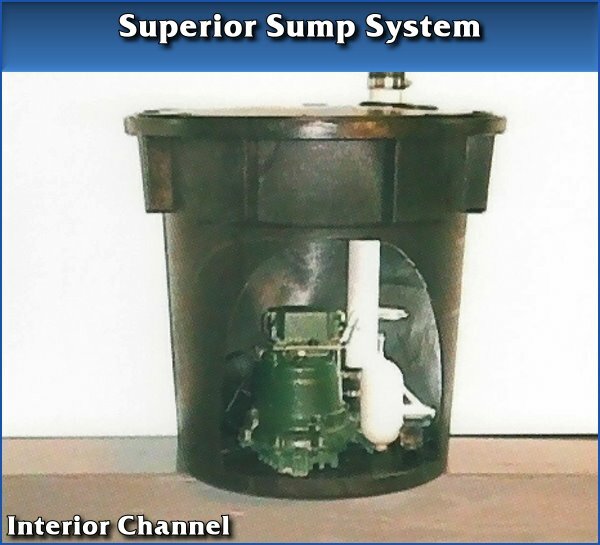 The Automatic Sump Pump is our most popular pump with cast-iron housing and stainless steel parts that will not rust. The Zoeller pump moves more water than its closest competitor. This pump moves 43 gallons of water per minute or 2,580 gallons per hour. No pump will do this other than Zoeller. Our structural foam sump basin is made of durable polyethylene and is injection molded for consistent quality. Our basin provides complete protection for the environment and is approved even in tough code areas where others are not. Our lid is completely sealed and will hold up to 250 pounds for your safety. This is the premium of all sump systems. This system is everything the Superior Sump System is with the Zoeller Battery Backup. The battery backup system will carry 23 gallons of water per hour when you have a power failure. Plus, this Zoeller high-capacity pump will pump 72 gallons a minute or 4,320 gallons an hour. No other system can compete. The floor alert sounds off an alarm that will let you know of any problems prior to your basement flooding. 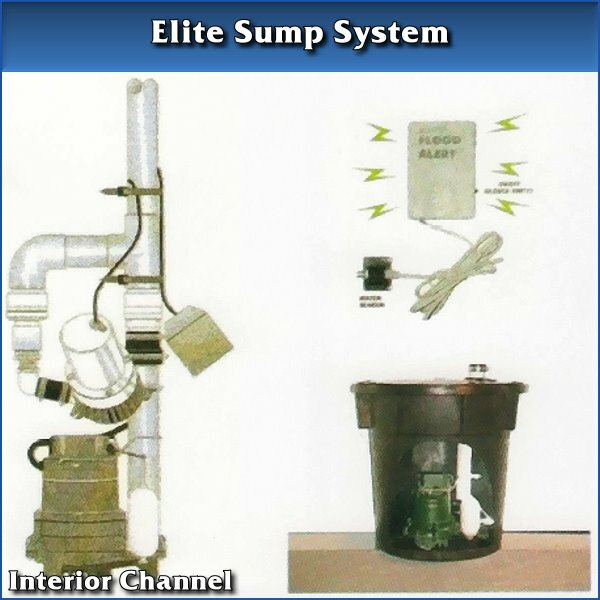 The Elite Sump System can also be hooked to our Flood Control System.